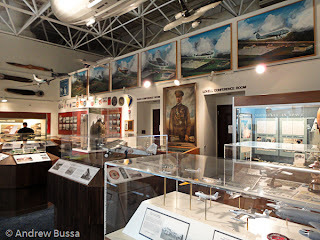 Quite a few airports have museums or historical displays and most are quite interesting. San Francisco Airport’s museum is the most famous and accredited; they have changing exhibits spread across the airport. A recent favorite of mine was TV’s over time and historic racing motorcycles. 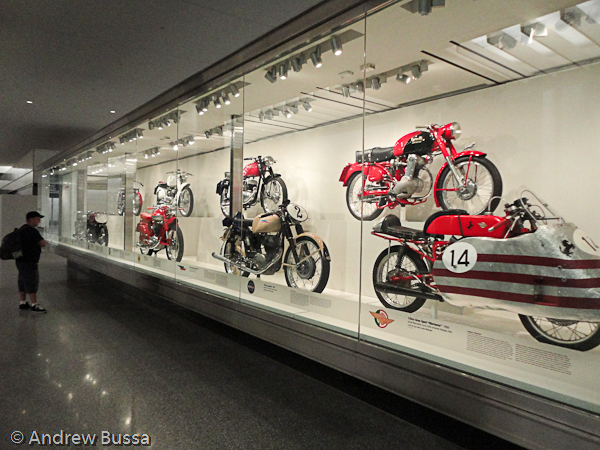 SFO has a large budget and lands high profile exhibits worthy of any museum. The disappointing aspect is there are rarely aviation themed displays. Milwaukee has a permanent museum dedicated to aviation. 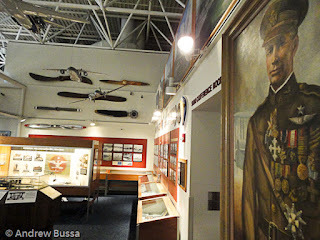 Most of the items are related to Milwaukee aviation or local famous aviators. The Mitchell Gallery of Flight is my favorite airport museum. The displays are relatively static (the Midwest meal service display is gone and an Airtran case is new) and generally interesting. The museum is located in the main terminal outside security, can’t miss it. 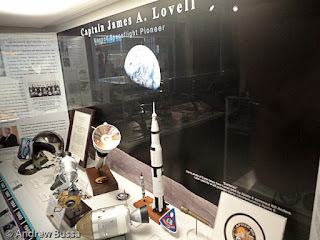 The celebration of flight is everywhere and makes me enamored of the museum. 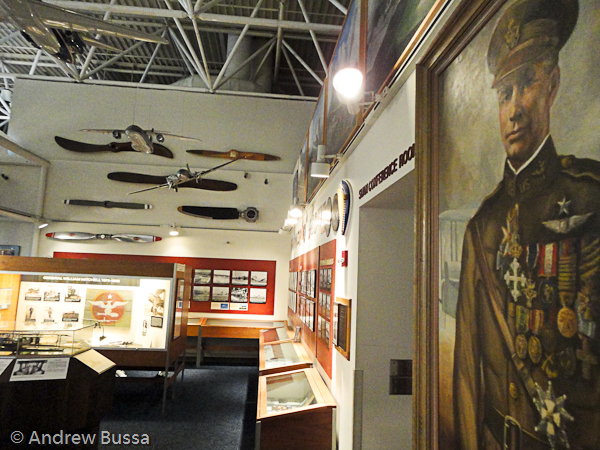 There is an impressive display on Billy Mitchell, famous WWI aviator and military aviation pioneer. There is also a display of the evolution of flight and the growth of Milwaukee’s airport. 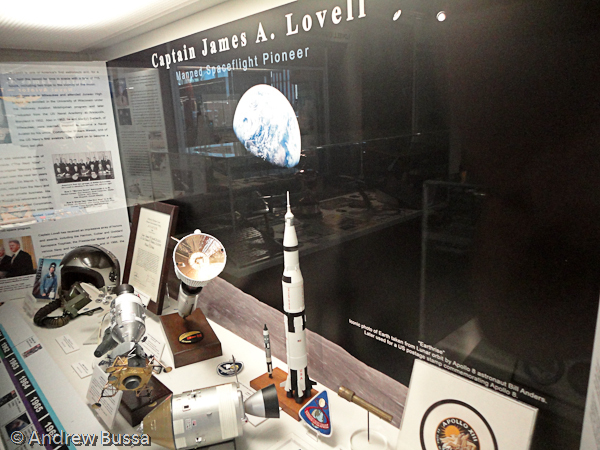 Jim Lovell, Gemini and Apollo astronaut and Naval aviator, has lent two cases of personal items from his flying career to display. Most airlines operating from MKE have cases with model planes and information about their service. Unique artifacts and models abound. 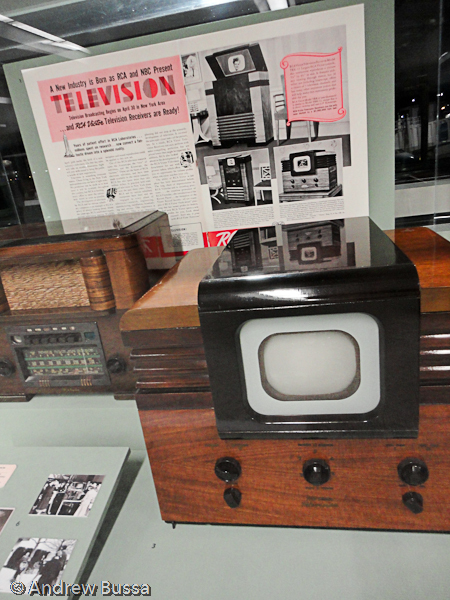 Phoenix’s museum tries to be a local art gallery. SFO tries to be a downtown museum. ORD has a Hellcat bomber and a small case on Butch O’Hare. 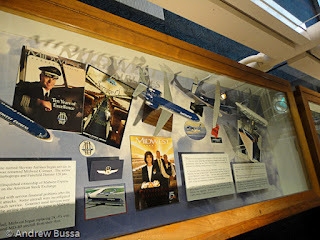 Other airports follow suit with little or nothing on display, but only Milwaukee dedicates their museum (well Montevideo too) to the wonders of flight. 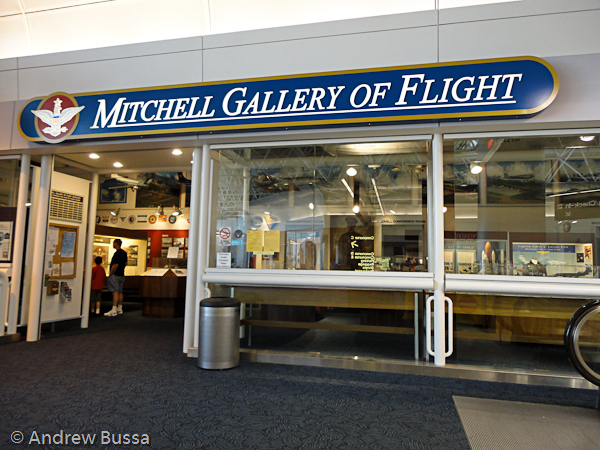 The Mitchell Gallery of Flight is worth a visit and don’t be surprised if you spend 15 or 30 minutes looking around.